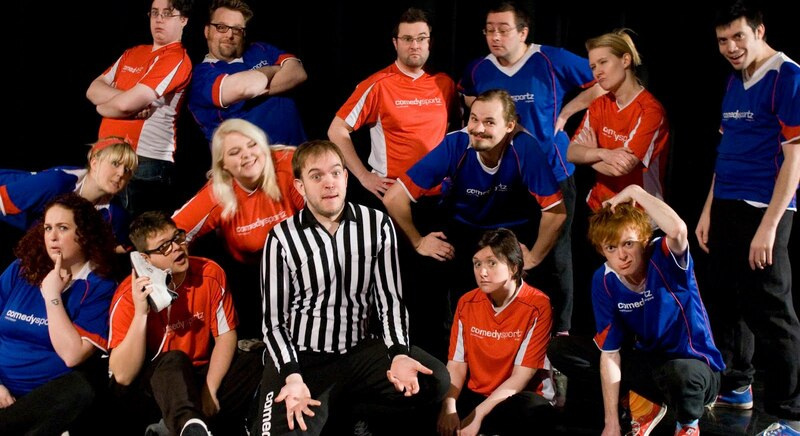 Splitting an impov troupe into two teams, ComedySportz creates a unique show of competitive improvised comedy that, for the most part, feels forced and patronising. It’s all very panto as the audience reluctantly appeases the ref with the obligatory signals for several rules and interruptions, which could have spiced up the show but in fact, are literally never used. One of the rules – “the brown bag” – is for when a player devolves into humour or language that isn’t befitting of a daytime show. During the improv games, each ‘routine’ consists of a starting subject or line that isn’t developed on; cast members are just encouraged to load suggestion on top of suggestion. The games don’t ask much of the cast and so we as the audience aren’t treated to much better than the odd laugh. This is a real shame because some of the players do show an eye for the more surreal and silly, but it finds no place in this show. One round in particular summed everything up; this round in particular tasked a team to come up with rules for their own game. Already a cop out, but surely a chance to flex some creative muscles. In fact it was the opposite, almost as if the cast wanted a break; their “completely original game” was in fact a traditional game where cast members leave the scene one by one. So we were subjected to a dull scene that just played out as each member left the stage. Nothing more. In being encouraged to take the noise to eleven and the obligatory high fives upon exit, I couldn’t help but feel mislead about the show’s entire premise. There is, in fact, no competitive edge; the scorekeeper didn’t even pay enough attention to know what the score was, and so it was just evened up no matter who the audience cheered most for. What a mess.